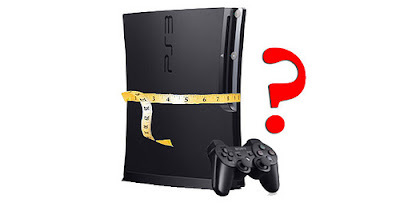 Sony recently filed a new form factor of PS3 with the FCC. The newly discovered FCC filing suggest that the PS3 is about to get a younger brother in the form of a new SKU. To break down all the jargon and abbreviations: any time a company creates a device that has internet (pretty much any device these days) the company has to make a Stock-keeping unit and file it with the Federal Communications Comission. The SKU is a unique number that is used to identify each product for sale. Look at any Smartphone or 3DS, there will be a SKU somewhere that has a unique number, dictating which iPhone you have in comparison to all the other iPhones out there. Not too important to us, but it is a critical aspect to producing a device like a PS3. If there is a “super-slim” PS3 coming, then Gamescom this August is a likely target for the announcement. If the FFC filing is an indication, then the new console could use cheaper parts and be smaller, allowing for the price to drop a bit. I’m not sure how much it will incentivize people to buy a PS3 if they haven’t already, but go Sony for trying.